Want to revel in the glory of having some of the best cheese and butter you've ever tasted in your fridge at all times? Try making them yourself. Making your own cheese and butter doesn't have to be difficult, and after a quick lesson in dairy science, It's Not You, It's Brie author, home cheesemaking teacher, and cheese expert Kirstin Jackson will show you how to master them at home. 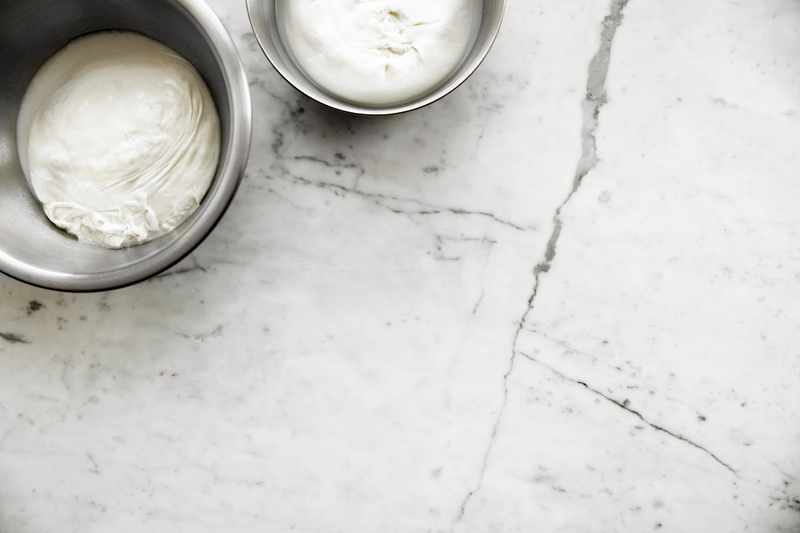 After learning what dairy to use and where to source ingredients, you'll transform your milk and cream into rich ricotta, fluffy and spiced fromage blanc, and rich butter. The class will start with a sampling of commercial variations, and end with light snacks that use the cheeses you perfected in class. with lots of fresh, locally baked bread to enjoy your creations! Author of It’s Not You, it’s Brie: Unwrapping America’s Unique Culture of Cheese, Kirstin Jackson is a cheesemaking teacher, wine and cheese educator, and writer. She loves teaching people how to make ricotta and creamy burrata pillows as much as she adores pairing her new favorite local cheese with wine. She blames her parents who took her on trips to the California dairy country at a very young age for feeding her current obsession.